Expensive items like jewelry, furs, art, collectibles and silverware are covered, but there are usually dollar limits if they are stolen. 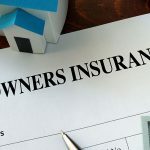 To insure these items to their full value, purchase a special personal property endorsement or floater and insure the item for its officially appraised value. Trees and plants are not covered for damage by wind or disease. Q: Why work with a Public Adjuster? A: The insurance companies have experts on their side – so should you. A survey by the State of Florida found that there was a 747 percent increase when an adjuster was hired at the start of the claims process. Q: What does a Public Adjuster do? 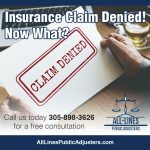 A: ALL-Lines Insurance Adjusters will identify, quantify, and establish the full extent of loss to your home or commercial property from wind, fire or water with your insurance company. We will package and present the claim to achieve a favorable recovery. Q: How much does it cost me? A: There are no upfront costs. ALL-Lines only collects when you get paid. 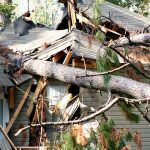 Q: When should I call a Public Adjuster? A: Now. The sooner we get involved, the better your chances are for recovering more from your insurance claim. Give us a quick description of what was damaged. Where is the damaged property located?